Jennifer joined the MG Residential team in 2015. She is a tireless advocate for her clients and works hard to ensure that their needs are met to the highest of standards. 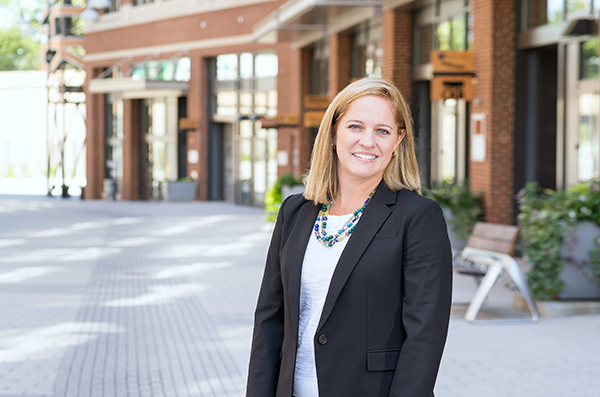 A native of San Diego, Jennifer has lived and worked in Washington, D.C. for nearly 20 years, and uses her extensive knowledge of the area to help her clients achieve their real estate goals, whether it is finding a home or purchasing an investment property. Prior to transitioning into real estate, Jennifer spent more than 10 years with a nationally recognized law firm. As a member of the firm’s communications practice, Jennifer led contract negotiations for the deployment of a $20 million wireless network in Central America. She also represented numerous clients before state and federal government agencies. Fluent in Spanish, Jennifer also spent seven years with the Organization of American States (OAS) before graduating from law school. During her time at the OAS, Jennifer organized and managed international cooperation projects between countries in the Andean and Amazon regions. Jennifer received her undergraduate degree from the University of Notre Dame and her law degree from the American University Washington College of Law. Jennifer serves as a volunteer attorney with the Tahirih Justice Center and is an active member of the Inspired Families Association of the Inspired Teaching School. She resides in the Brookland neighborhood of Washington, D.C. with her husband and two young children.